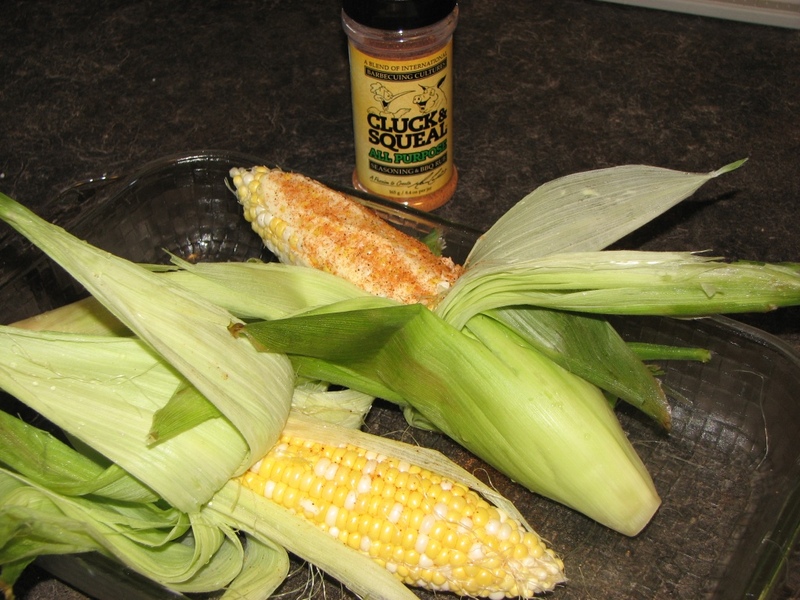 Nothing beats some fresh Manitoba Corn on the Cob when it is already hot and buttered and comes right off the grill ready to go. And this is so stupid simple too! 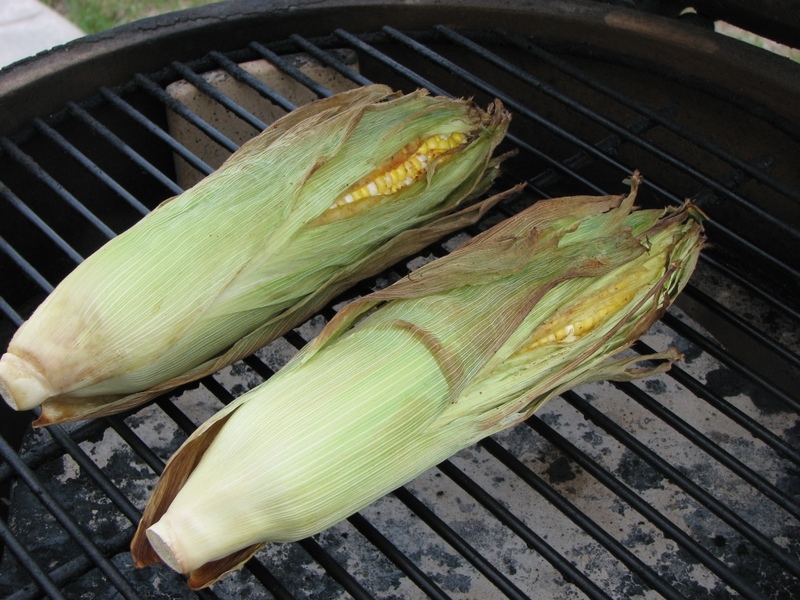 The trick to doing corn directly or even indirectly on the grill is to put the ears of corn into a water bath to soak the husks while you do all your other prep work. 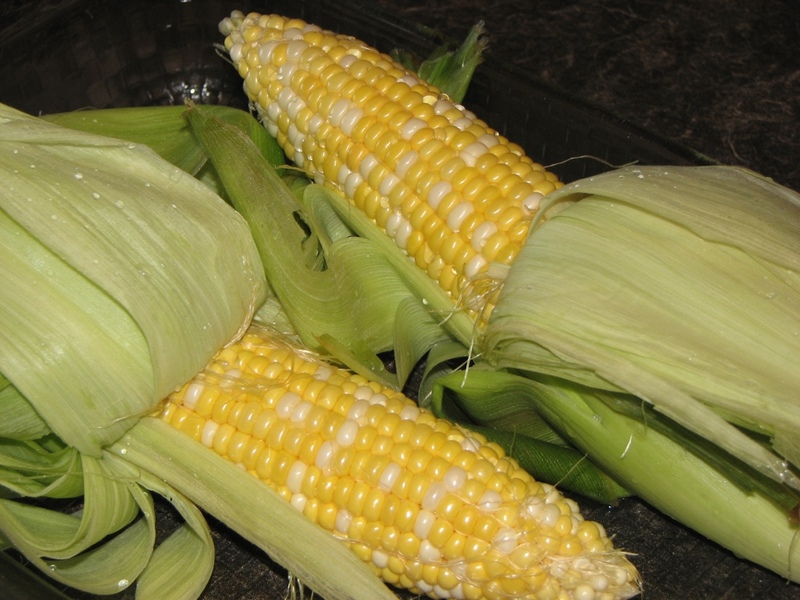 After about an hour in water, I peeled the corn husks back and pulled out as much of the silks as I could. 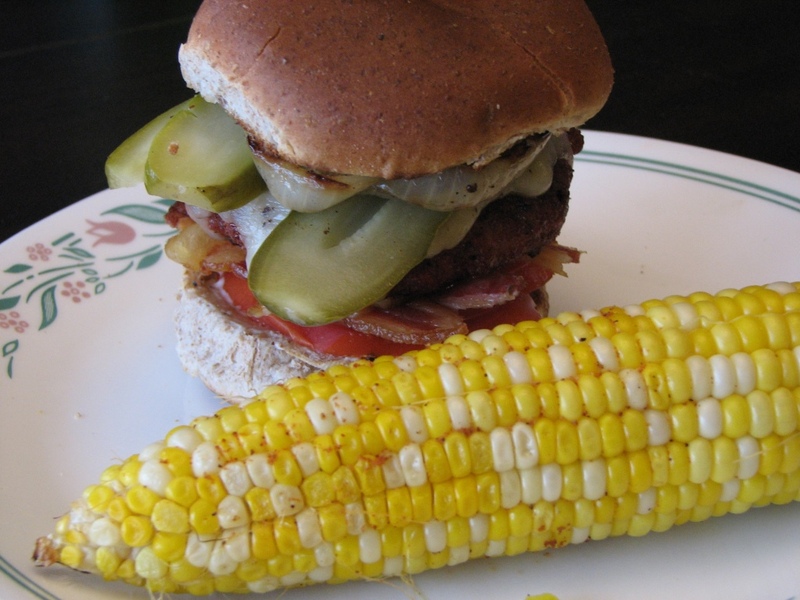 I then spread some butter on the corn and sprinkled them with Cluck & Squeal Original. Seasoning salt works great too! Use whatever seasoning you like! 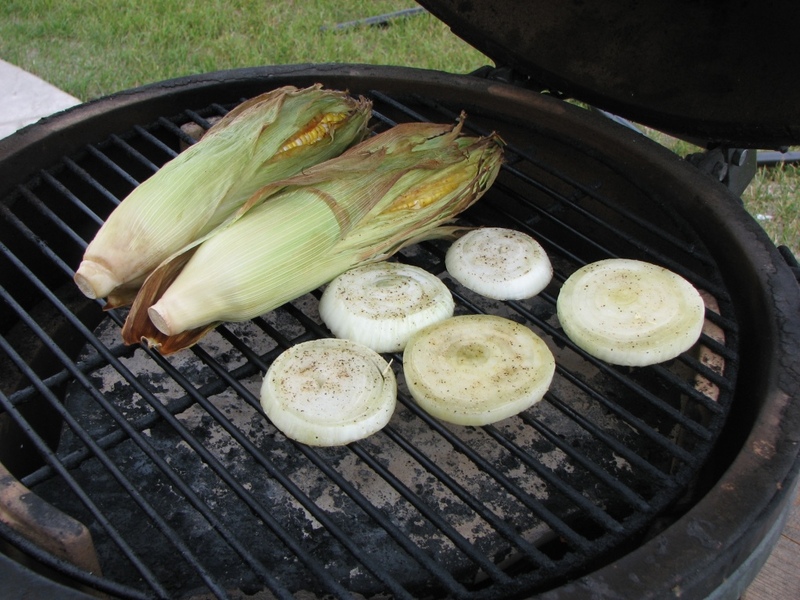 I pre-heated the Big Green Egg to 350 with the plate setter on for indirect cooking and put the corn on for about 20 minutes, turning it once, at which point I added some onions that I was also grilling for a burger, that I had sliced and drizzled with olive oil, S&P. 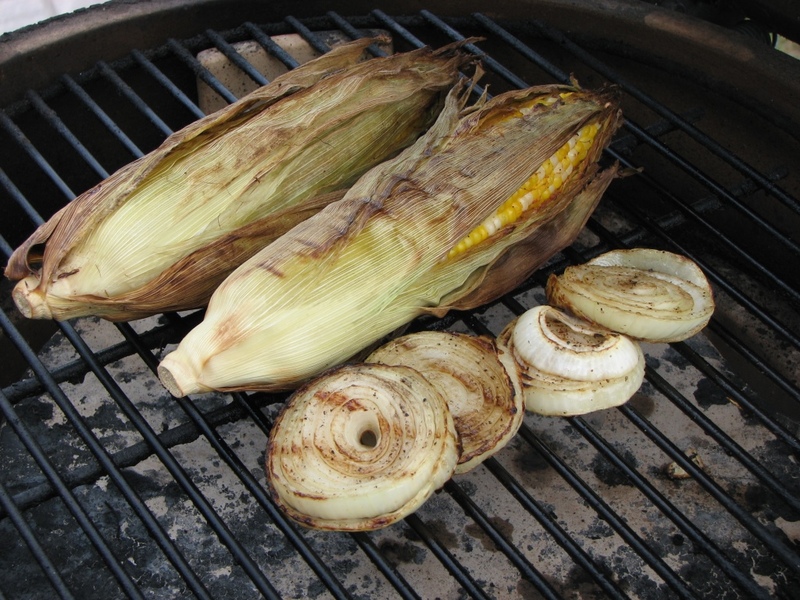 After 20 more minutes (40 total for the corn) I took the onions and corn off and covered in plastic wrap to keep warm while we finish the rest of dinner. 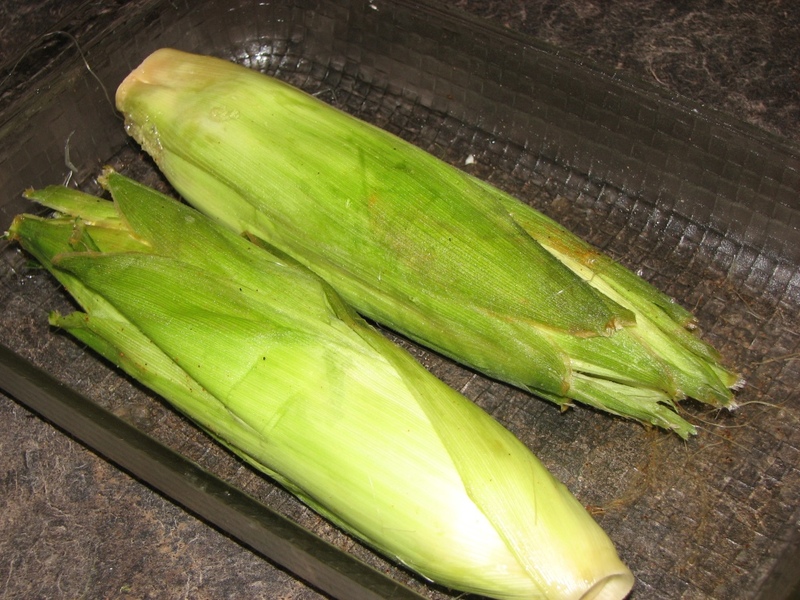 When you are ready to eat, just take the husks off the corn and it’s good to go. 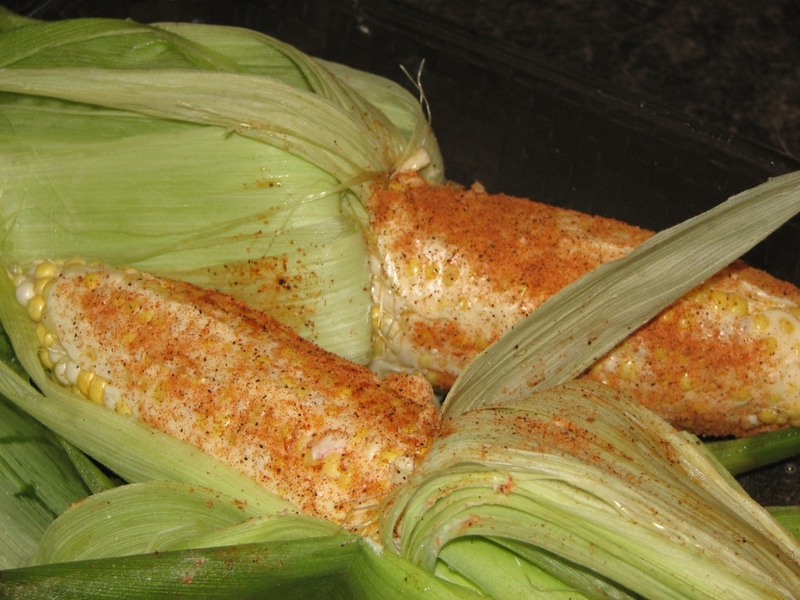 Makes the perfect summer side dish!